The US seems to be stubborn with a few things and will be one of the only countries doing things a certain way. One of these things is using the imperial system instead of the metric system. We were supposed to go to metric, but it appears it got shot down in the 1980’s. 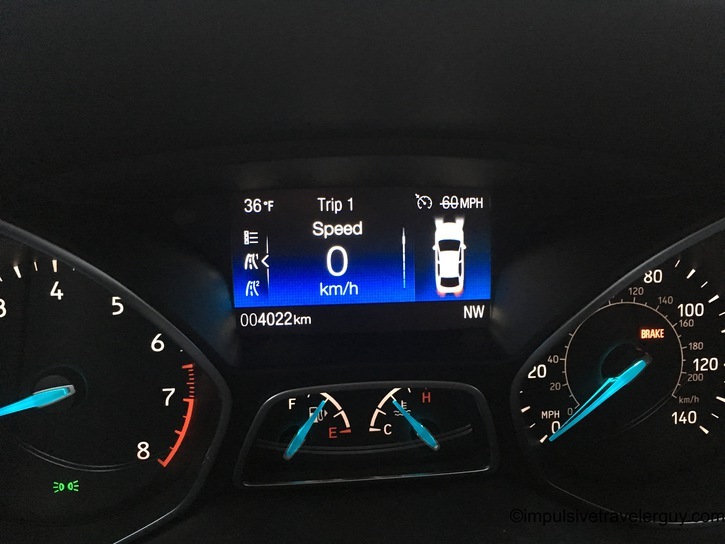 The one thing I’ll give my two Focuses is they did have metric as the “little numbers” on the speedometer. Well, trying to read the little numbers can be challenging. One nice thing about the 2017, is you can put a digital speedometer right in front of you. This definitely makes it easier to drive on those roads labeled in KM/H. I’m sure I could have toggled the settings and got it all to metric, but all I really cared about was my speed. I wish eventually the US would get with the rest of the modern world and just go metric, but for now, at least my car can easily accommodate.